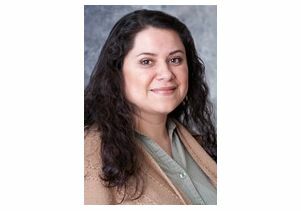 Leisy Abrego, assistant professor in UCLA's Cesar Chavez Department of Chicana and Chicano Studies, has published a new book, which examines the nature of families that cross El Salvadoran and United States boundaries. "Sacrificing Families: Navigating Laws, Labor, and Love" looks at the reasons people migrate from El Salvador to the United States, the U.S. role in forcing them to seek survival elsewhere, and the policies that create and maintain family separations over lengthy periods. In the book, which was based on 130 interviews with migrants and their relatives in El Salvador, transnational family members reveal how U.S. immigration policies and powerful gendered ideals create experiences of inequality. Born in San Salvador, Abrego was part of the first large wave of Salvadoran immigrants who arrived in Los Angeles in the early 1980s. Her research and teaching interests — inspired in great part by her family’s experiences in the U.S. — focus in Central American immigration, Latina/o families, and the inequalities created by gender and by U.S. immigration policies. For more information, visit Stanford University Press. Leisy Abrego, professor in the department of Chicana and Chicano studies at UCLA.